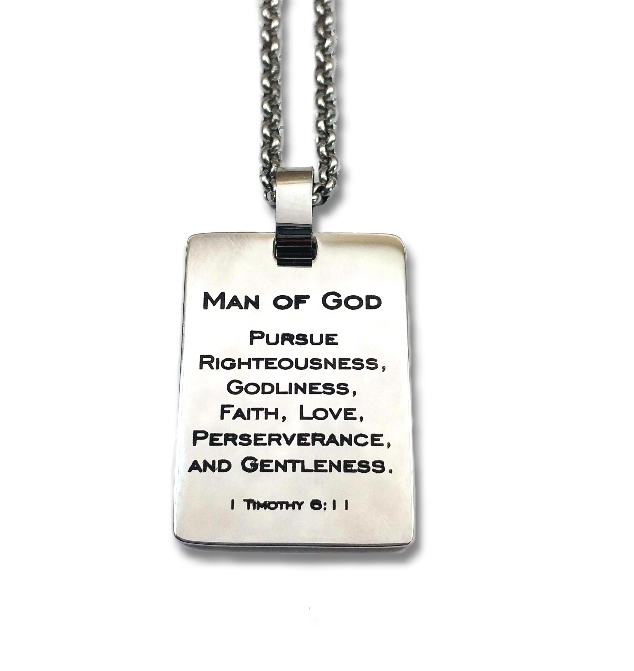 This stainless steel rectangle pendant is deeply engraved with black antique letters with your favorite scripture or personal message. 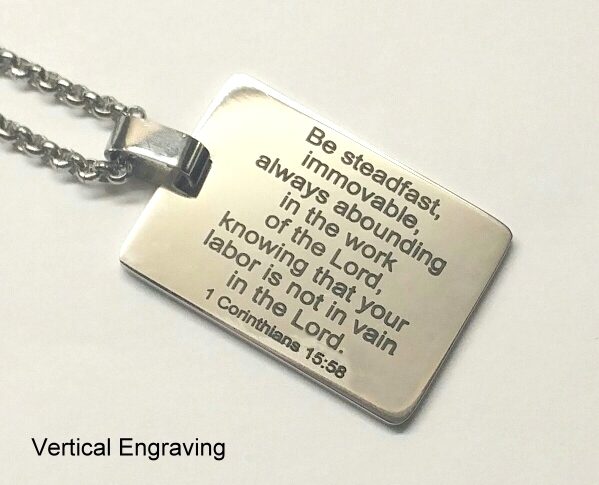 You have an option to upgrade and engrave the second side of the pendant for a nominal charge. 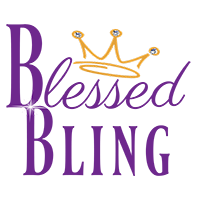 You may choose from a list of our scripture selections or request a custom verse any side – front or back. 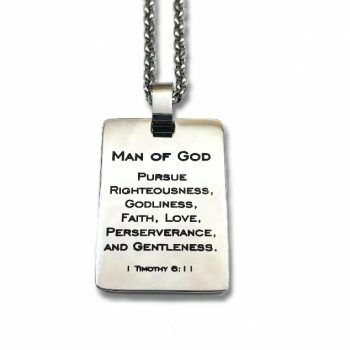 Please note that we will engrave the scripture or wording the best way it would fit on the pendant – vertically or horizontally. Please let us know specifically in the comments section if you prefer your custom engraving a certain direction. 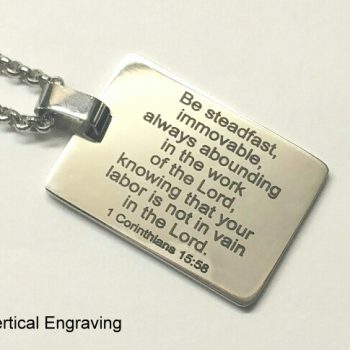 The pendant measures 1.36 X.97 inches (without the bail), .07 inches thick. The pendant has a nice weight to it. The pendant comes with a 3mm thick 24″ rolo chain.